This revised and updated edition of On Route In South Africa has a new, contemporary look, but contains all the features that have made it such a classic. Previous editions won a special place in the hearts of South Africans. 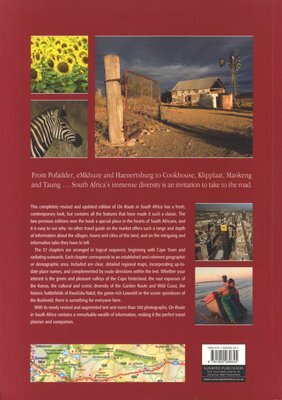 No other book available offers such a range and depth of information about the villages, towns and cities of this land, and on the intriguing and informative tales they have to tell. 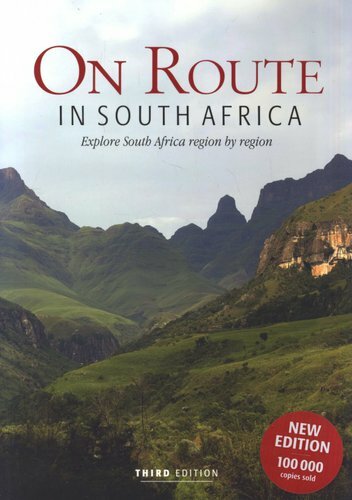 The 37 chapters are arranged in logical sequence, beginning with Cape Town and radiating outwards. Each chapter corresponds to an established and coherent geographic or demographic area. Included are detailed regional maps, incorporating up-to-date place names, and complemented by route directions within the text. With its expanded text and more than 500 photographs, On Route In South Africa contains a remarkable wealth of information, making it the perfect travel planner and companion.